The rise in technology has brought with it a rise in online services and solutions. One of the more recent rising trends is telemedicine. Most major television channels have some sort of doctor program where celebrity doctors offer advice and services —”Dr. Phil,” “Dr. Oz,” and “The Doctors” are just a few examples. Due to the popularity of these medical shows, other providers and companies have been experimenting in the field of telemedicine and potentially exposing themselves to medical malpractice liability. 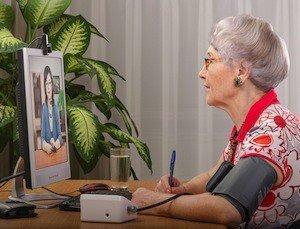 Insurance companies are some of the more recent telemedicine bandwagoners. Anthem Blue Cross and Blue Shield, a Connecticut insurance company, offers an online forum called LiveHealth Online to connect patients and doctors. All the doctors who advise on the site are licensed to practice in the state; however many do not actually live and work in Connecticut. There is no guarantee that a user will talk to his or her own primary care provider or that he or she will even connect with the same doctor over multiple visits to the website. Those who support online medical website and other telemedicine services say that it is similar to visiting a pharmacy versus a primary care provider; the goal is a quick consult for a minor medical problem. Many disagree with the comparison. At a pharmacy, a licensed pharmacist has an opportunity to physically examine any potential patients/customers, whereas the physical interaction is impossible in telemedicine. Opponents of the practice are concerned about the level of care that can be provided to a patient as well as continuity of care if a medical problem persists. Because the risks of telemedicine include misdiagnosis, delayed diagnosis, and miscommunication, Connecticut state legislators are considering a bill that would limit the services provided through telemedicine. Senate Bill 467, if passed, would require that online doctors access medical records for each patient before making a diagnosis, as well as belong to a reputable medical practice that is held to the same accountability standards as traditional practices. Additionally, the bill would require that patients be made aware of the services and limitations of online medical treatment. Telemedicine is a newer field and is thus not subject to the same medical malpractice rules and restrictions that limit other doctors and medical facilities. However, due to the absence of physical interaction, the risks for medical error can be even higher in telemedicine cases. If you received treatment from a doctor, either online or in person, and believe a medical error or misdiagnosis occurred, please consult with a Westport medical malpractice attorney to discuss your case and options as soon as possible. We are proud to represent clients throughout Connecticut and we look forward to speaking with you. One of the most common situations involving medical malpractice is the delayed or misdiagnosis of a patient. A well-publicized report published by the Institute of Medicine (IOM) revealed that as many as 98,000 people die in hospitals annually as a result of preventable medical errors. Astounding statistics such as these raise adequate concerns among patients who may wonder if their medical providers are taking appropriate actions in favor of their or their family’s health. Patients are dependent upon their medical providers to proactively address concerns regarding suspected illness or injury. A December online report from the Daily Mail confirmed the death of an eight-month-old baby as a result of meningitis due to the doctor’s failure to respond to the mother’s concerns. The doctor assigned to the case diagnosed the baby’s condition as only a virus even after she suffered a seizure and high temperature. This type of medical error occurs more often than doctors or hospitals would like to admit. Last year, a Connecticut family faced a battle of misdiagnosis between doctors resulting in lost custody of their daughter as she was left admitted to the hospital. Use of therapy or tests not up-to-date with current medical standards. Patients may face expenses to seek additional medical testing or receive care after an initial misdiagnosis. They may also report missed wages due to an inability to work. 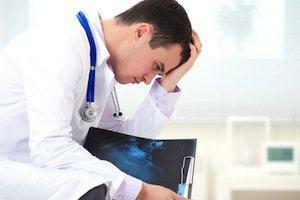 To say a delayed diagnosis or misdiagnosis is costly is an understatement. Extra incurred expenses add up to at least $17 billion and as high as $29 billion a year in hospitals as reported by IOM. Patients who are victim to a delayed diagnosis may miss the opportunity to prevent certain medical conditions from worsening or to find a remedy in a more timely manner. As experts in their field, doctors are responsible for providing the best possible care to their patients. When this responsibility is compromised, so are the lives of patients. If you have been injured and suffered harm as a result of a delayed or failed diagnosis in Connecticut, contact an experienced Westport medical malpractice attorney today.